First post ever! It was great seeing so many faces and so many different styles. Drawing plants this time around was definitely a nice change of scenery. *EDIT: Totally forgot to introduce myself. I'm a former UW Architecture student who graduated in 2010. I'm working at a small architecture firm in Columbia City called Julian Weber Architecture & Design. I've been going to these sketch outings for over three years now, but always lurked and never posted until now. I love how big the group has gotten and I look forward to seeing more work! Great Sketches Chris! I hope we see more of your work. You might want to introduce your self to the blog group! Hey! Congratulations Chris! As always, I love your sketches. You and I did the same viewpoint, and, as you will see, mine has you in it! Nice work and welcome to the blog! Ah those were yours! 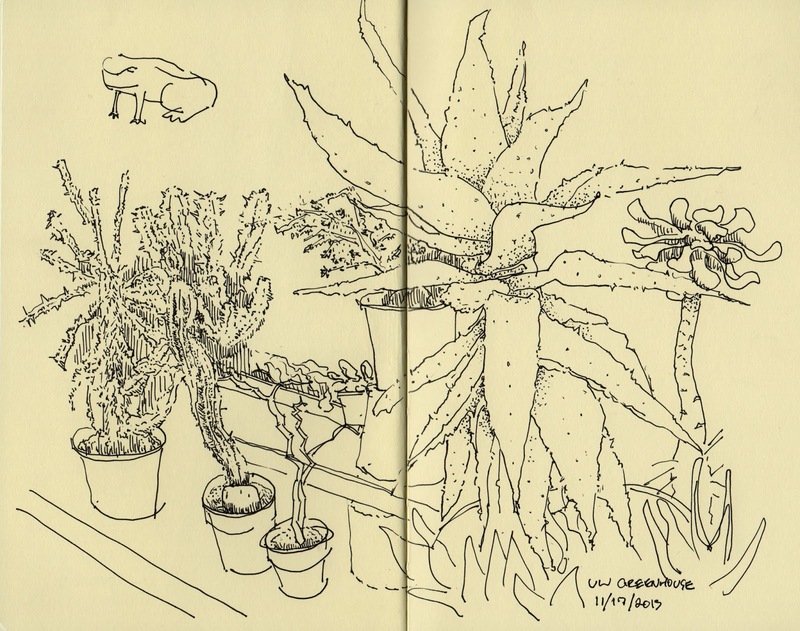 Nice sketches Chris, I like your style! Wonderful sketches and welcome to the group! I recognize you now as I saw you sketching in the corner. I am the sketcher in your sketch standing at the bench just to the right behind Anita. very skillful. Excellent sense of space. 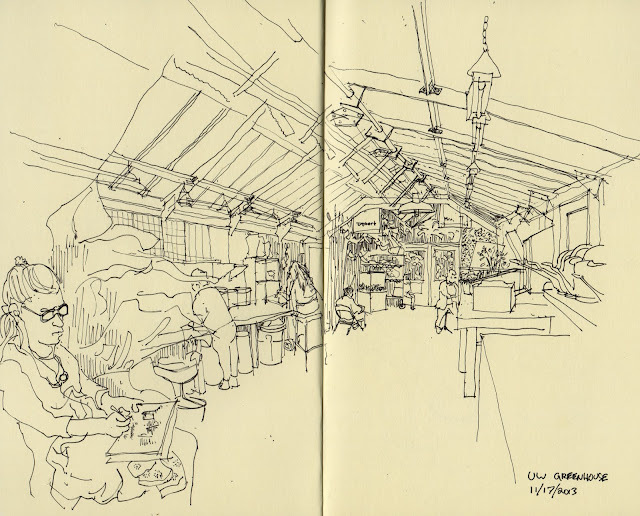 Hi Chris, the composition and simplicity of these sketches is masterful. I love the empty space you leave, really focuses the view. And the line quality is beautiful!